Visiting Switzerland, Iranian President says Iran will respect nuclear deal with world powers as long as its interests are preserved. 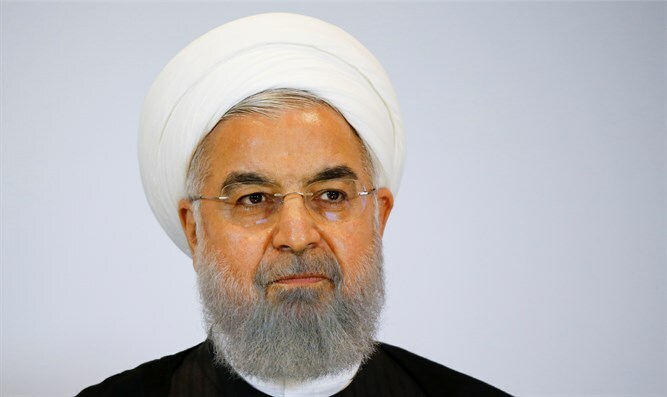 Iranian President Hassan Rouhani said on Tuesday Iran will respect the nuclear deal with world powers as long as the country's interests are preserved. Speaking in Switzerland alongside President Alain Berset and quoted by Al Jazeera, Rouhani said Iran is "committed" to promises made in terms of non-proliferation. "After the JCPOA [nuclear deal] we showed very clearly that whatever promise we make, we stand by," said the Iranian president, who is visiting Switzerland in hopes of saving the nuclear deal after U.S. President Donald Trump withdrew from the agreement in May. Berset said that Switzerland was also committed to upholding the deal, which he called "an unprecedented success for international diplomacy." The State Department has asked its allies, including India and China, to cut all imports of Iranian crude oil by November 4, which is when U.S. sanctions are scheduled to resume.